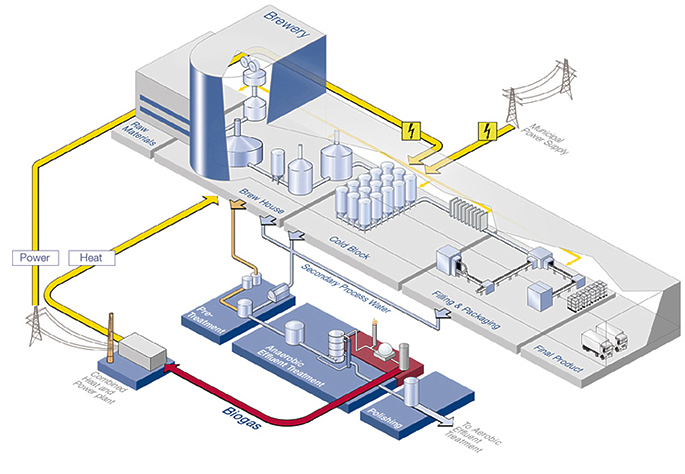 Economical Water and Energy Management SystemsFrom the brew house to bottling and packaging we provide solutions for an economical water management system and a more efficient use of energy. E2E technology, for example, can successfully capture while processing waste water. Depending on concept, the biogas can be used in an on-site incineration plant or a combined heat and power plant to generate heat and energy.